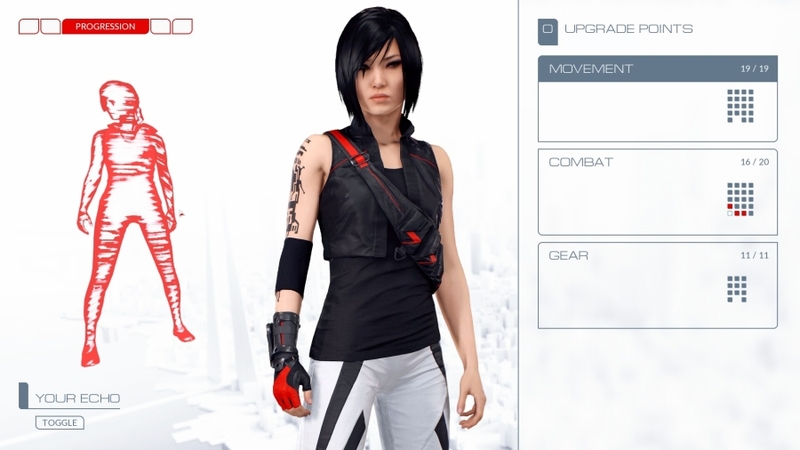 The latest Mirror’s Edge Catalyst has pretty deep and personal story of Faith but the game also got various options for players to change and customize different things, including customizing Faith and different other aspects of the game. 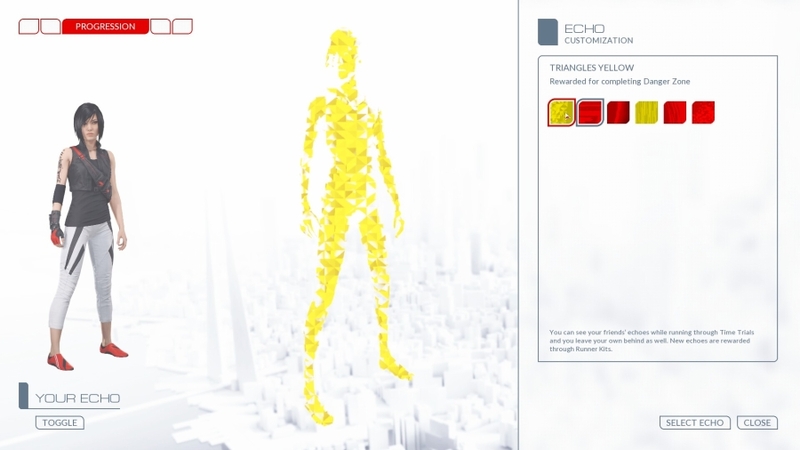 In Mirror’s Edge Catalyst How to Customize Runner Echo guide we will show you how you can change Faith’s Runner’s Echo. Runner Echo is a shadow or ghost like figure that appears in the game’s tutorials and/or other events. If you decide to change the default red option for your Echo, go to the Progression screen and there look at the very bottom left corner of the screen. Here you will see ‘Your Echo’. To see Echo Customization options select ‘Your Echo’. The basic default option that is already be lit is the ‘Runner’s Vision Red’, named for a special ability that Faith uses to differentiate adequate paths in the game. You can see different echoes from others in the Time Trials, and you leave your own echo behind too. You will be able to unlock new and exciting Echoes via Runner Kits. Runner Kits have different items in them that you can use to alter your Echo. The first one you obtain is a Speed Runner kit, this kit contains a background, emblem and color. Your current Runner’s Echo colors that you have, will be shown on right side along with a description that how and where you obtained them. All you have to do is to set one as your current color, and you are good to go! There is a variety of different colors available out there that range from striking yellow to different shades of red, but you have different patterns of echoes to equip and make things little less bland. 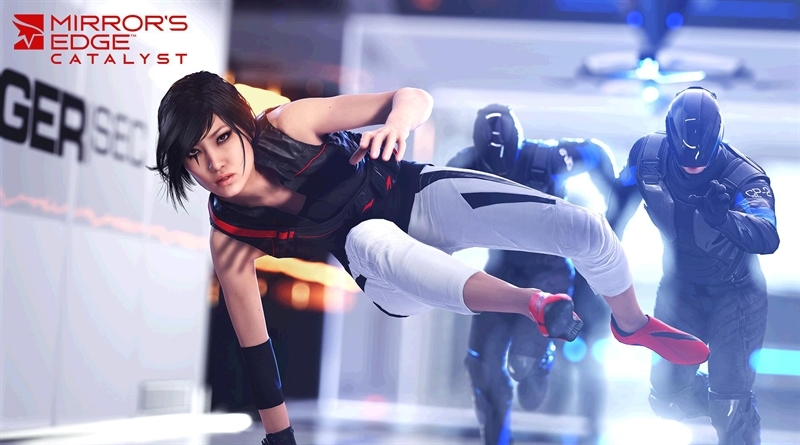 You may get sick of seeing red color everywhere in the game which you will because there are plenty of red in the game and want to change some things to get more engaging experience in Mirror’s Edge Catalyst. If you want more guides, tips, walkthrough videos and other amazing stuff related to this latest action-adventure FPS video game then visit Mirror’s Edge Catalyst.